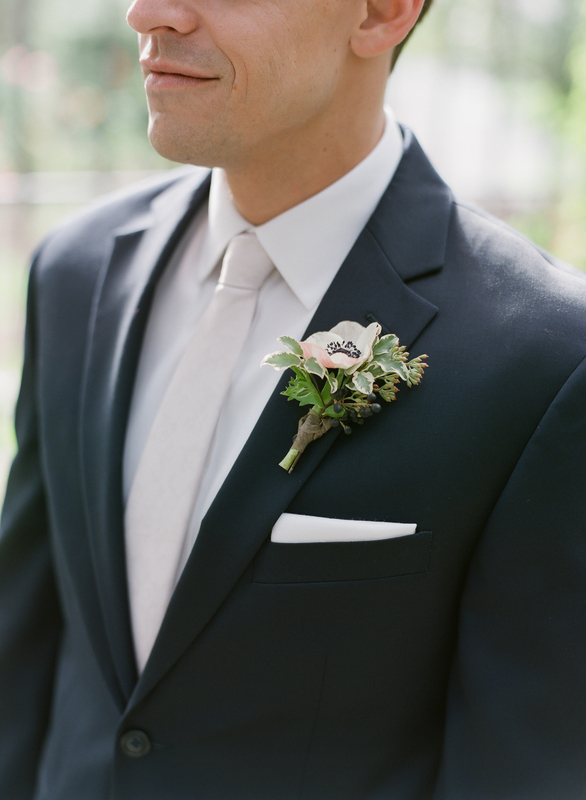 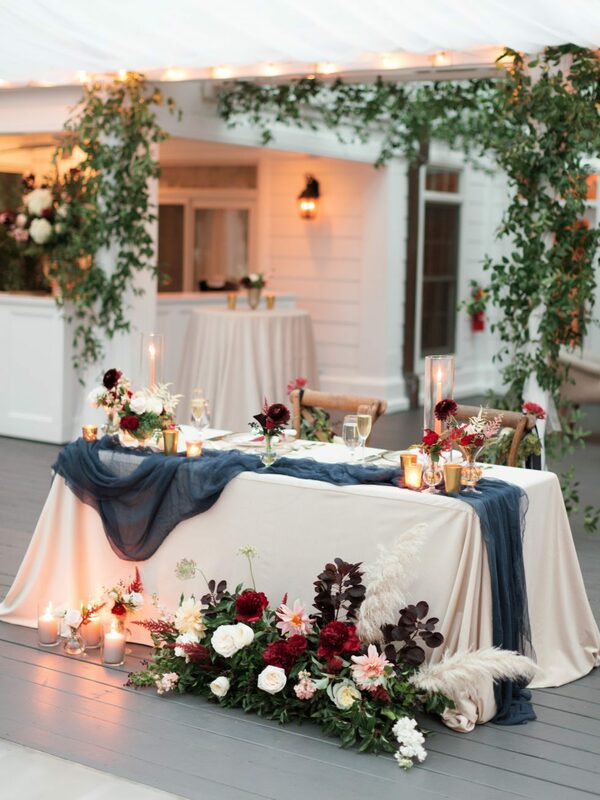 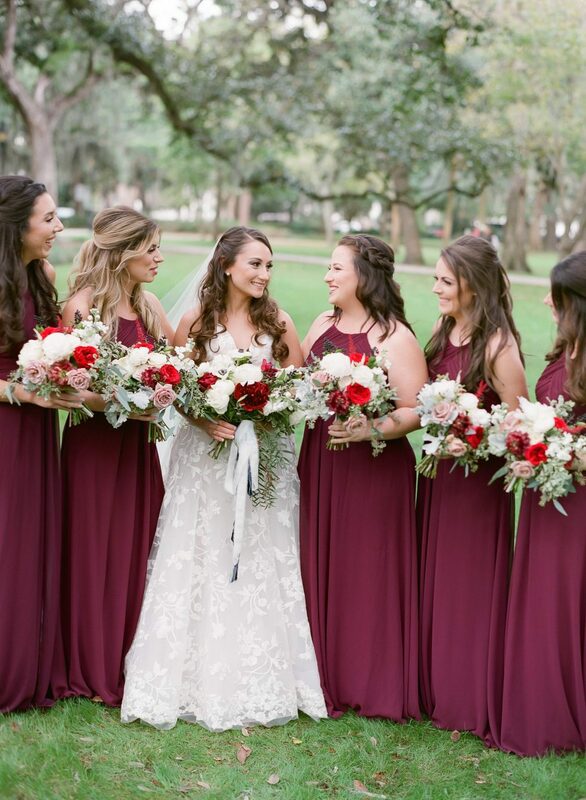 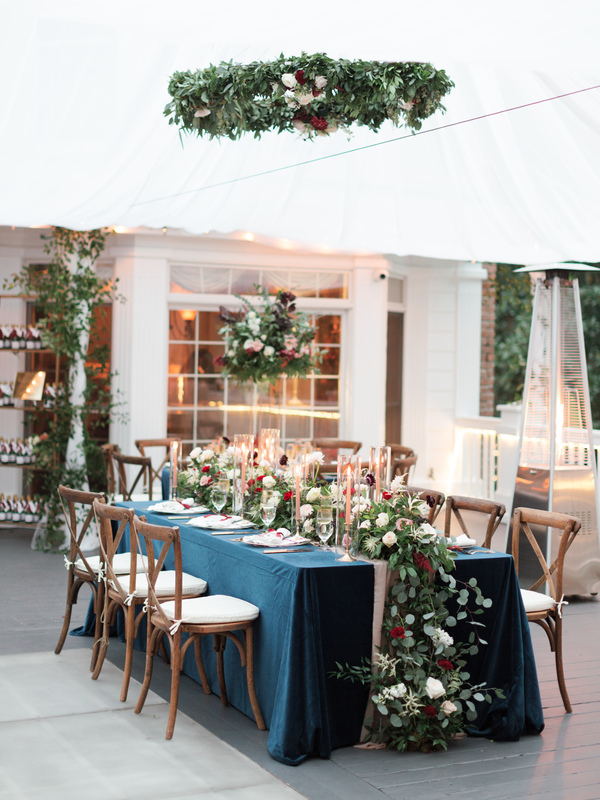 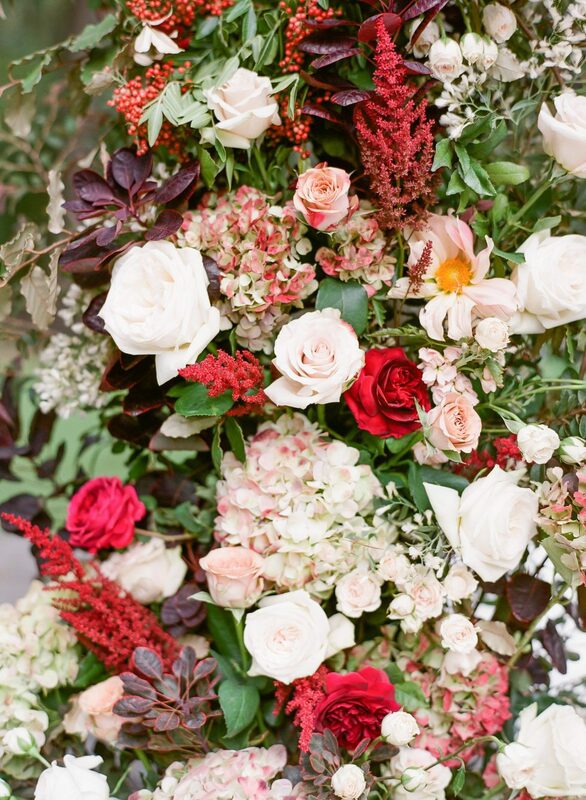 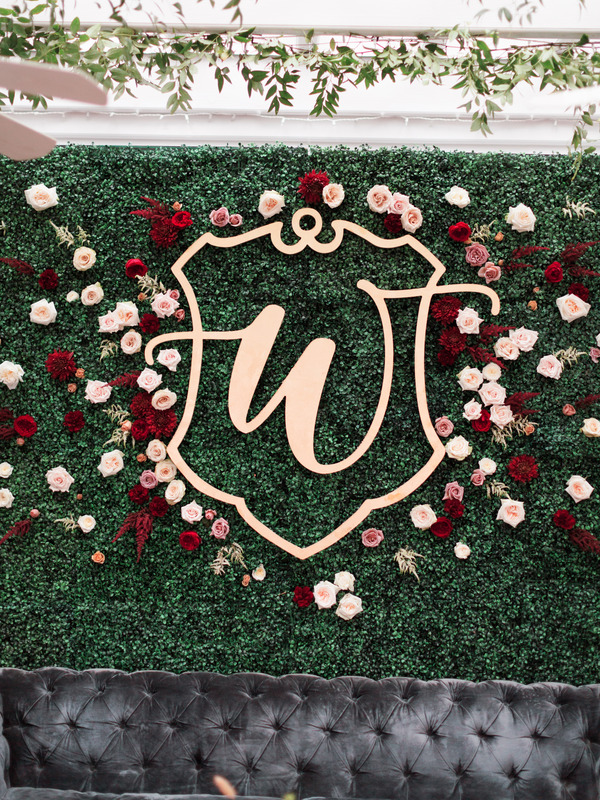 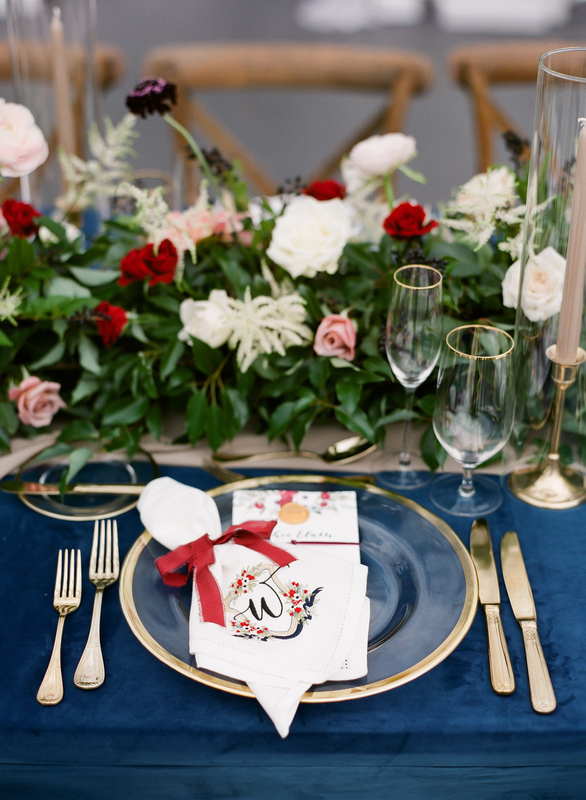 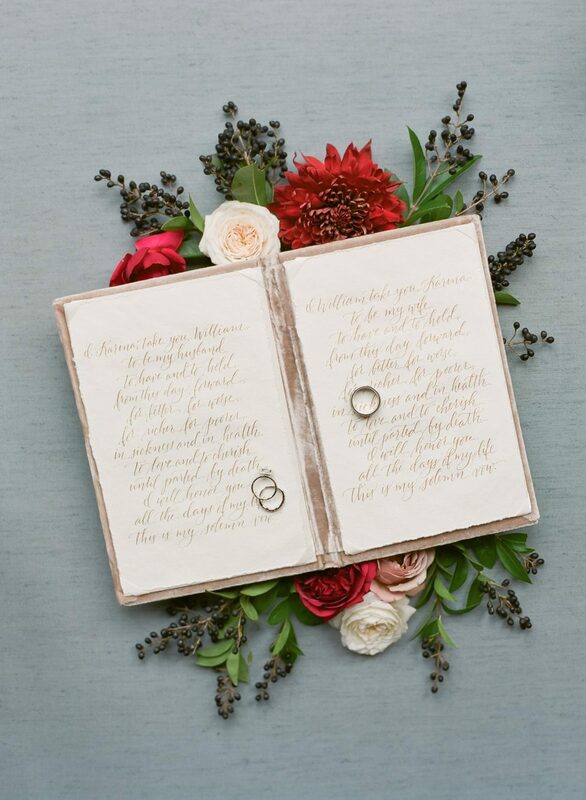 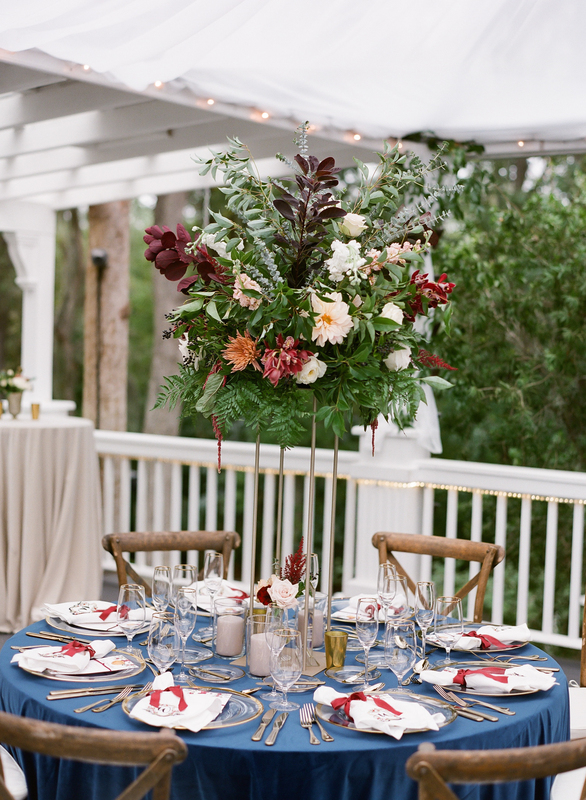 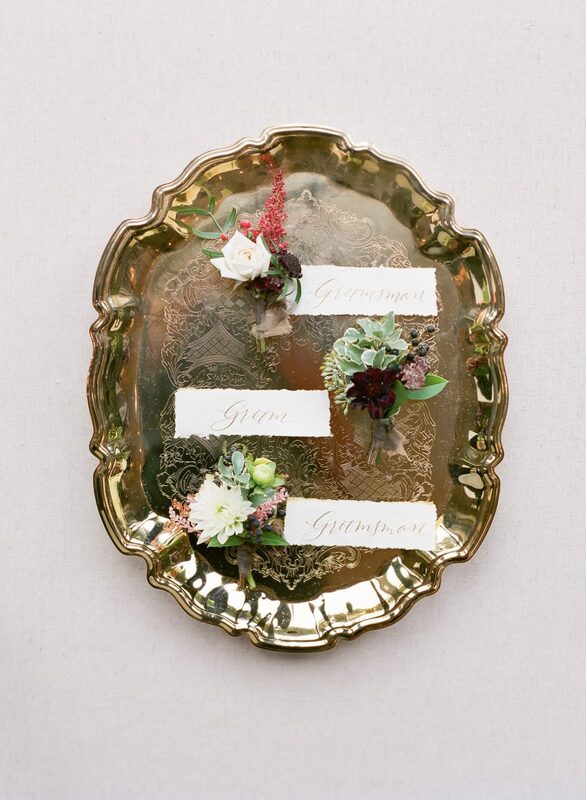 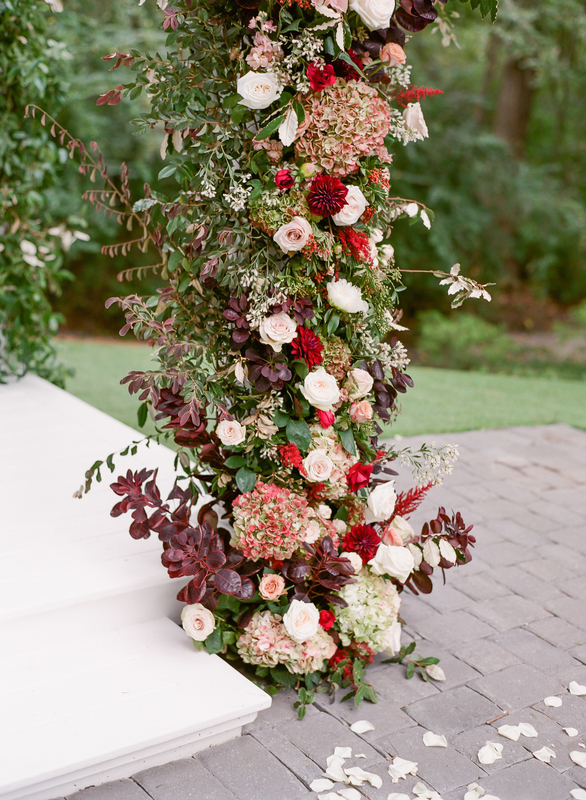 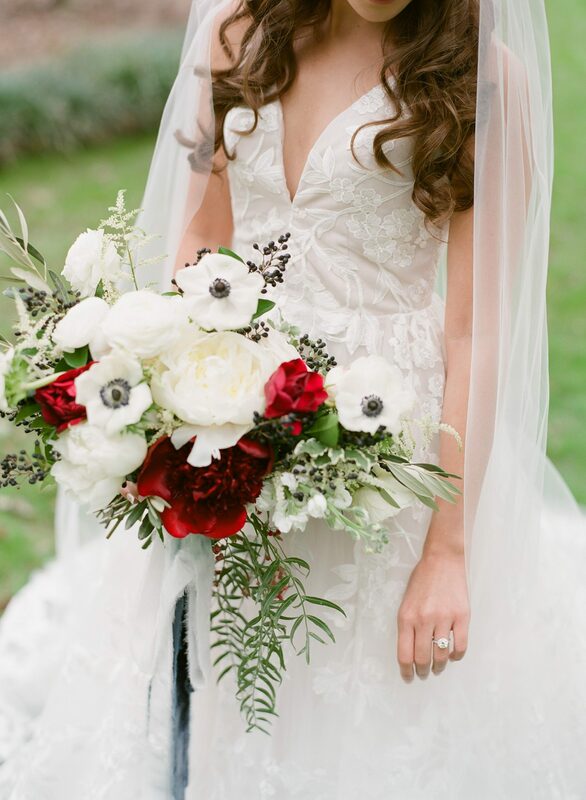 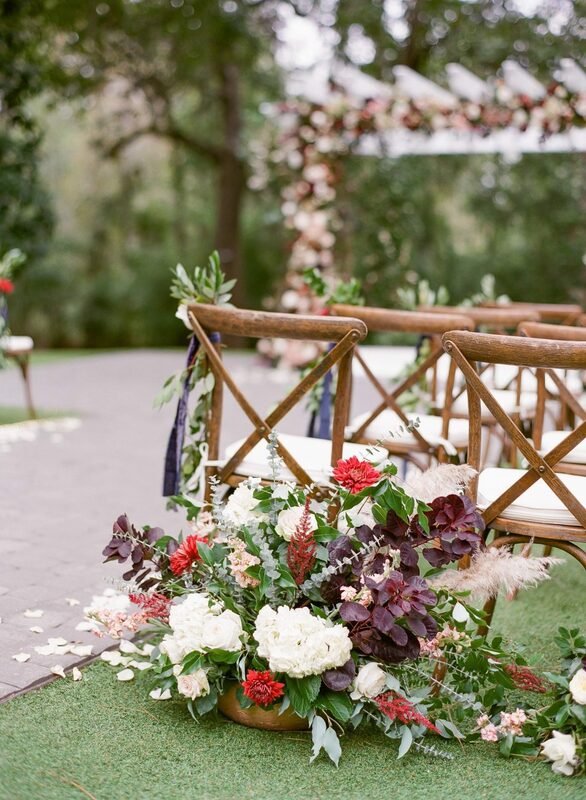 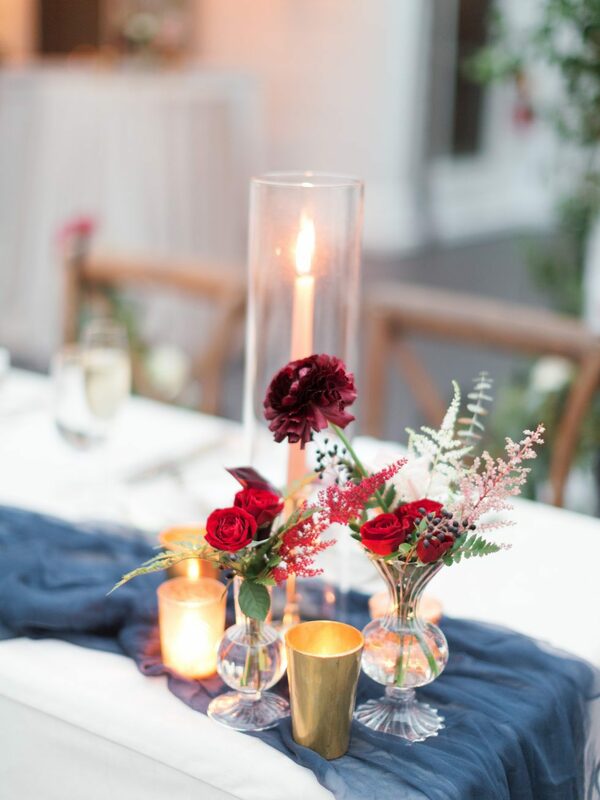 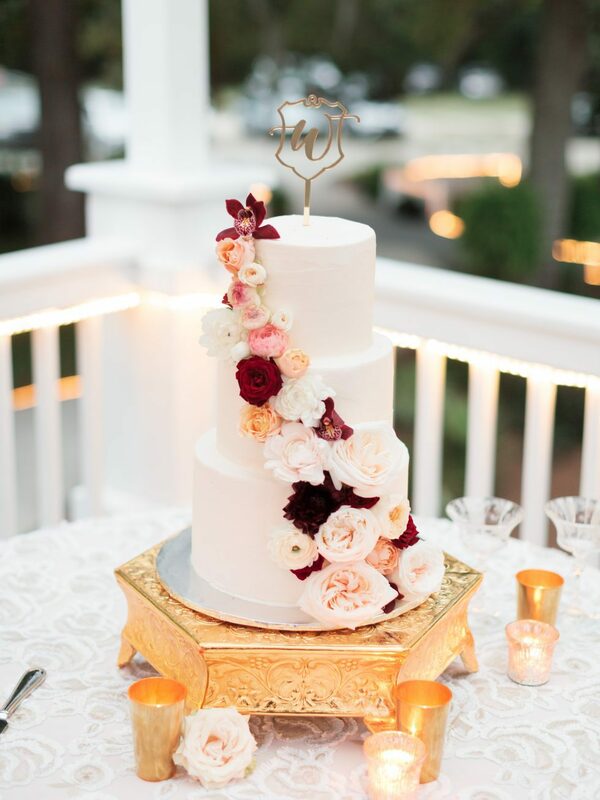 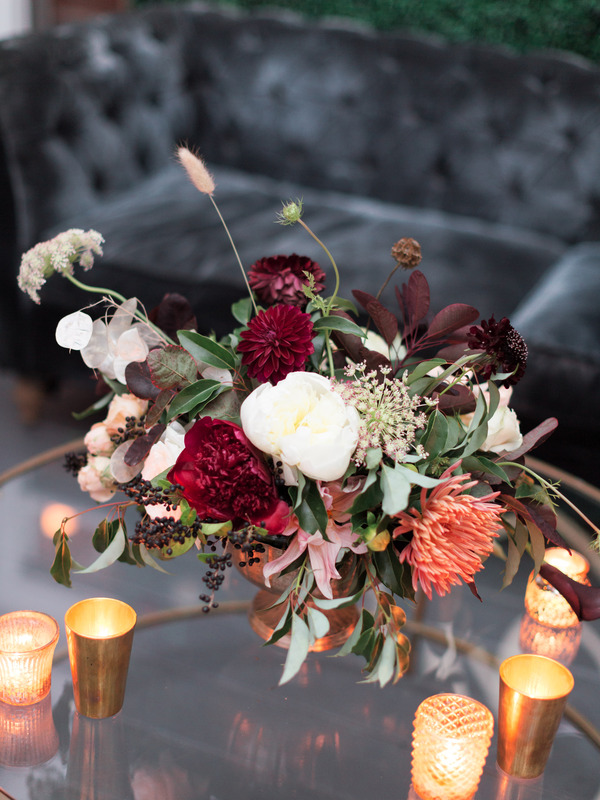 Karina + Will dreamed up a wedding with endless details and florals in abundance. Lush floral garlands composed of greens, ivory and burgundy colored blooms and tall lush arrangements on gold stands adorned the tables. 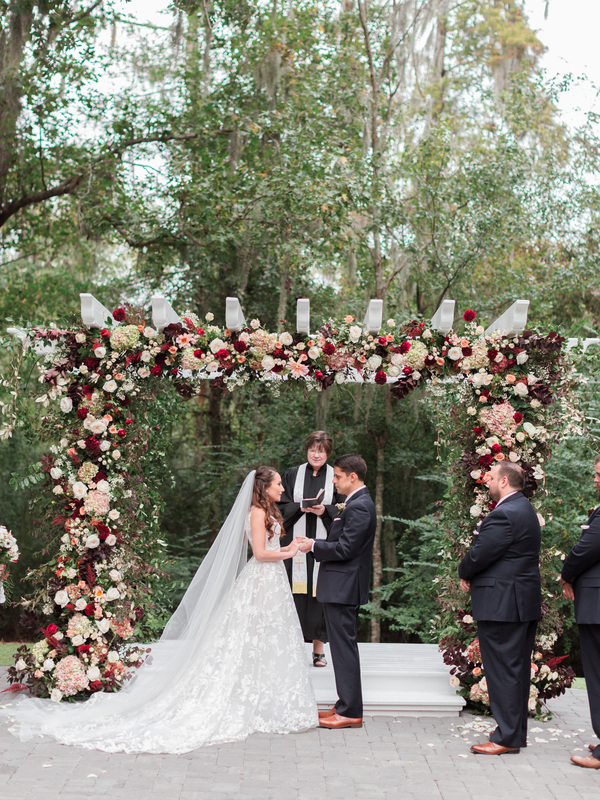 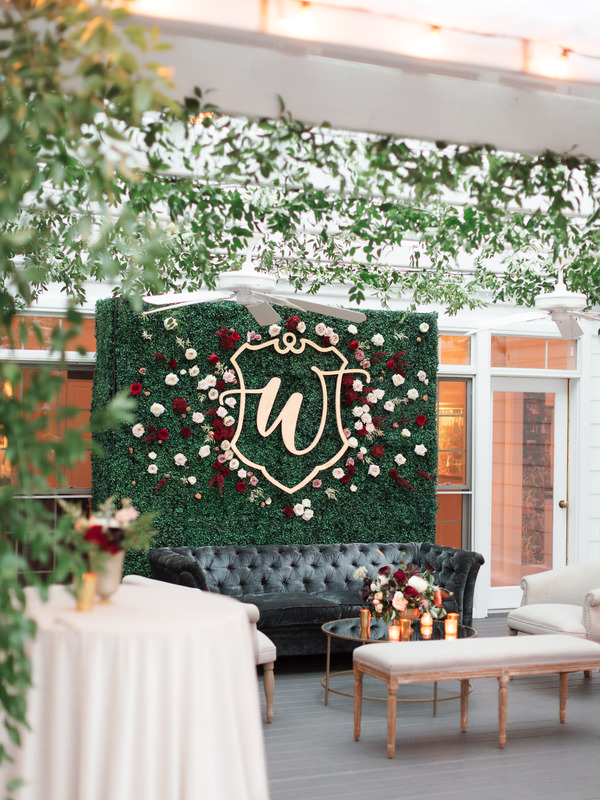 Their ceremony backdrop consisted of a stunning floral arch highlighting antique hydrangea, garden roses, astilbe, dahlias and ranunculus to name a few. 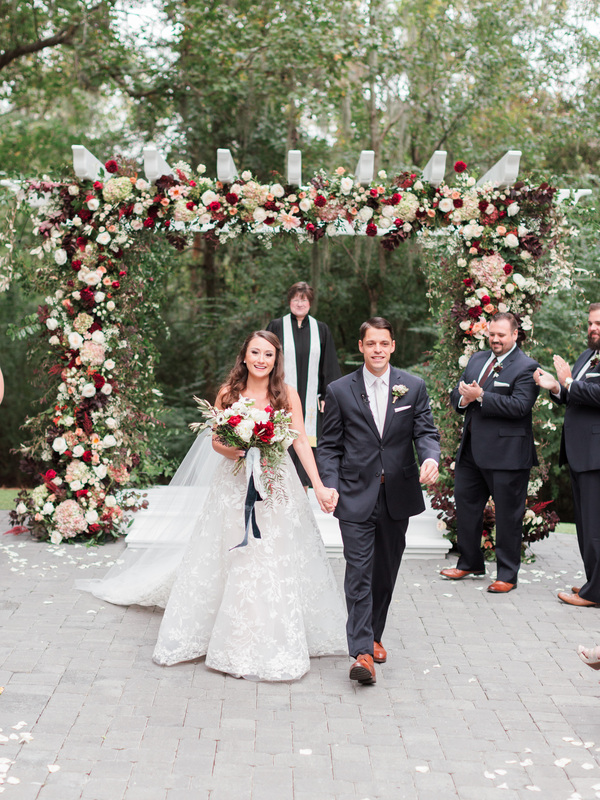 We will certainly never forget this beautiful floral filled fall day. 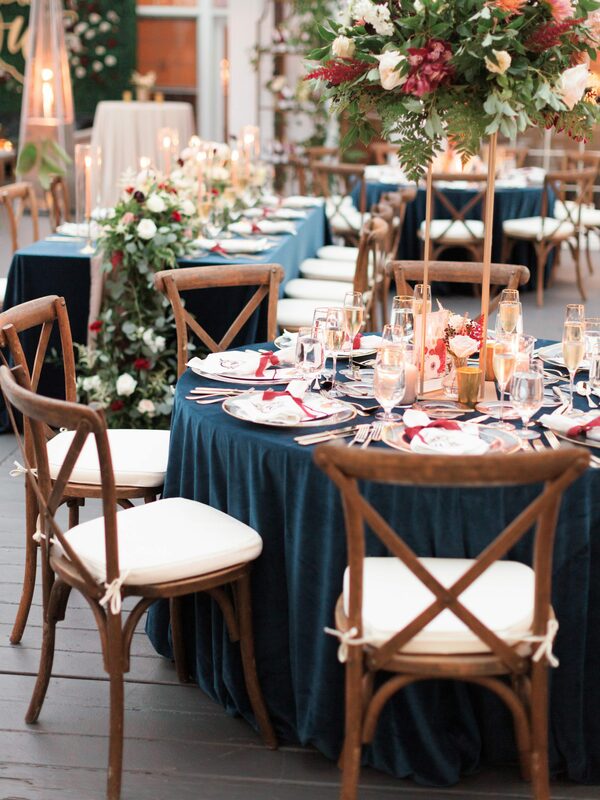 Featured on Ruffled Blog.